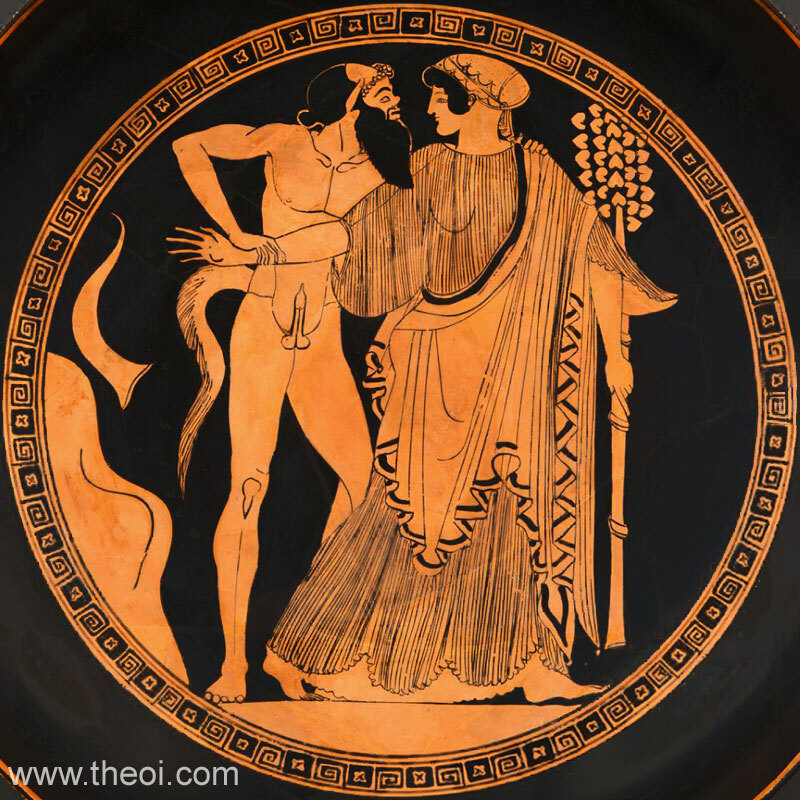 Tondo: A Satyr grasps a Maenad by the arm and waist. He is depicted with the usual features of his kind--a pug nose, horse's tail and ears, balding head and erect member. A drinking horn (rhyton) and wine sack lie to one side. The Maenad holds a thyrsus (pine-cone tipped staff). Sides: Dionysus, Satyrs and Maenads (not shown).